Peugeot’s stunning new 308 has made it to the final seven models shortlisted for the prestigious European Car of the Year award for 2014. The all-new Compact Family Hatchback was included on the original list of 30 candidates published in September 2013. Now the jury of respected journalists from across the continent has whittled that group down to the final seven, and the new 308 is still in the running. The seven cars in competition will be rigorously tested by the judges over the coming weeks. Details of the winner will be revealed on the eve of the Geneva Motor Show, on 3rd March 2014. Peugeot’s performance in the European Car of the Year is strong, particularly with its Compact Family Hatchback models. The manufacturer has won the award three times since its inception in 1964, most recently with the 307 in 2002. This entry was posted in Awards and Reviews, Car Leasing, Family Car, New Cars, News and Views and tagged 308, Car of the Year, Diesel 308, Geneva Motor Show, lease a Peugeot 308, lease the Peugeot 308, Peugeot 308, Peugeot 308 Hatchback by David Petherick. Bookmark the permalink. 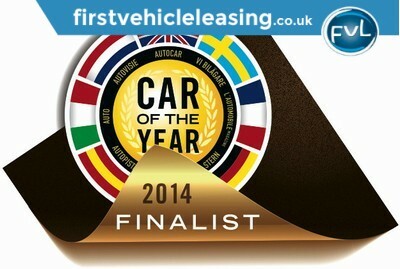 And an update to this blog: Today, 3rd March 2014, the New Peugeot 308 won the title ‘European Car of the Year 2014′. Check out our full on the road review at http://mzs.es/fr308 and watch out for our prize draw to win a New 308 (toy) every day from tomorrow. As promised, here’s the link to enter our free prize draw to win a New 308 model: http://mzs.es/ec308 on this blog.